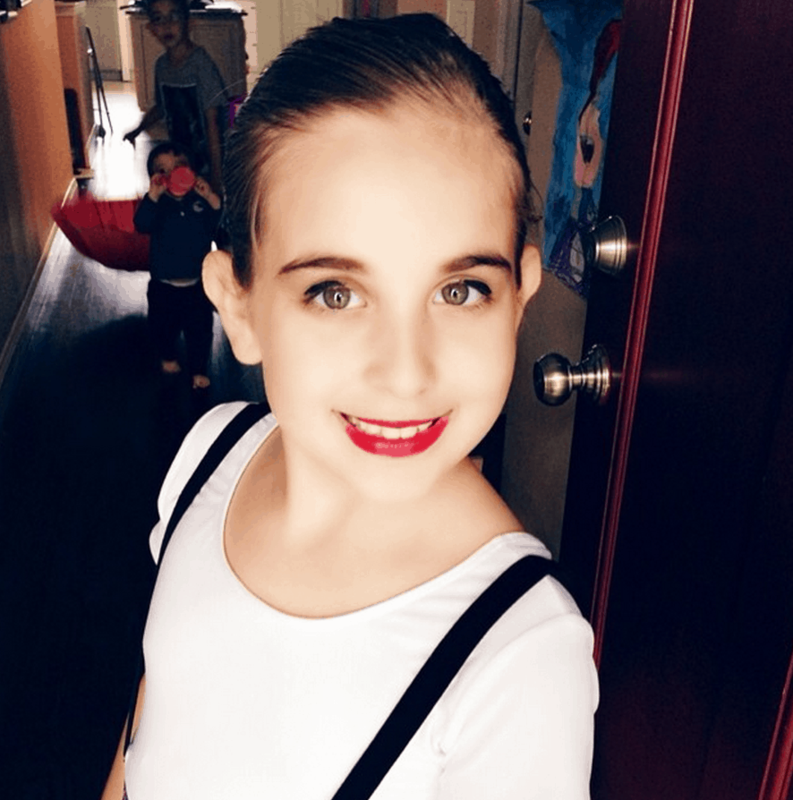 Yesterday, my daughter had her FINAL rehearsal for her dance recital that is happening this weekend. Ask me if I have ANY CLUE what her routine looks like…. Why? Because she won’t show us. We are freaking out! I’m waiting to either be BLOWN AWAY or completely mortified on Saturday. LOL. Either way, it will be a great show. I THOUGHT it was a dress rehearsal and got her all set up in her costume and a full face of makeup. Turns out… it wasn’t. So, out of the 200 girls or so, Natalie was pretty much the only one looking like this. Apparently, there was a letter that came home with “details” letting the parents know “instructions” about what to do this week. ………………….. whatever.